Having been run since 1911, Monte Carlo Rally ranks among top four classic motorsport events in the world with Indy 500, Le Mans and Monaco GP. It is by far oldest of the World Rallies and even predates GP of the same principality. With such a long history behind it, Monte Carlo Rally benefits hugely from traditions but at times has also suffered from those. Perhaps best example of this is the concentration run. Starting from cities across the Europe, competitors had to drive in their rally cars an average distance of one thousand kilometers just to reach the start of the rally. For a general motorist sight of rally cars snaking from Paris, Athens, Rome et cetera to regroup at Chambery, France might have been thrilling. But for competitors it added discomfort and unnecessary liaison distance. Concentration run was dropped for 1997 edition. Despite the name, Monte Carlo Rally takes place in French Alps and given the early date, weather has big impact on the character of the event. At times roads have been packed with snow and coated with ice but occasionally event has been run on almost dry tarmac. The biggest challenge in Monte is to choose right tyres as stage can be mostly dry with several kilometers of snow and ice. Racing tyre is much faster over dry section but will you get through the snow with it? Unique amongst events and packed with heritage, exceptionally difficult in nature and always ready to sprung a suprise. 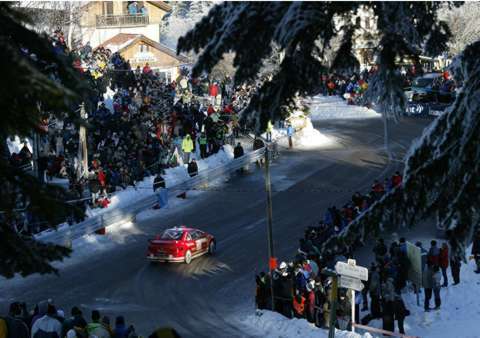 That is Monte Carlo Rally. Only few have mastered it and there are two drivers above all others, Walter Rohrl and Tommi Makinen, both four time winners of the event. Also Sandro Munari has four wins but first one is from 1972, a non-WRC year. 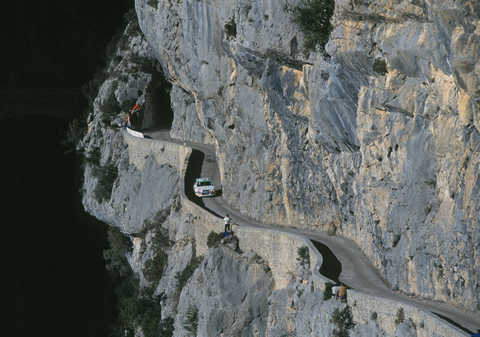 French alps have some breathtaking scenes and roads in unbelievable places. 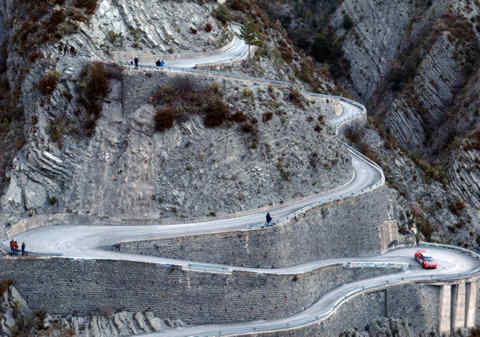 Imagine coming down this road with slick tyres if it would be icy. It's all in a days work for rally drivers in Monte Carlo.